San Francisco — October 18, 2016 — productboard, the pioneering system of record for product management, today announced it has raised its first round of capital — $1.3 million in seed funding. The investment, co-led by Index Ventures and Credo Ventures with participation from Spread Capital, will accelerate the development of productboard’s meticulously-designed SaaS platform for product discovery, which helps digital product teams understand what to build next, for whom, and why. This investment round follows an earlier convertible note by Rockaway Capital, bringing total funding to $1.7 million. With the rise of lean mindsets, agile development, user-centered design, and fact-based collaborative decision-making, productboard helps product leaders understand what their users need, prioritize what to build, and collaborate over their product roadmaps — all in one place. 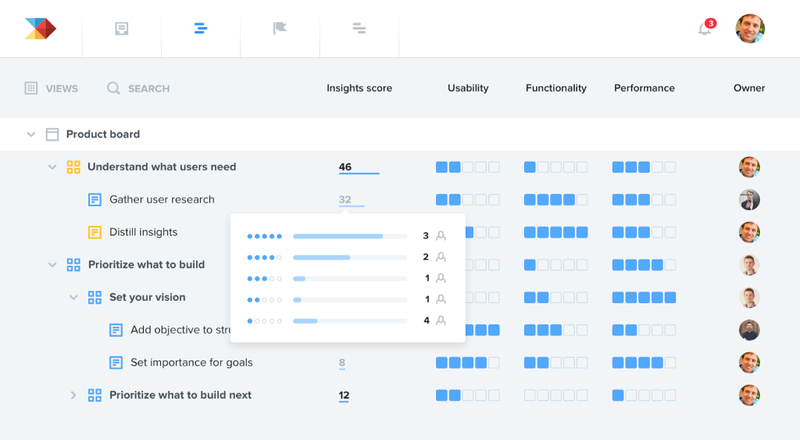 Built in response to the struggles many digital product teams face in deciding what functionality to build next, productboard is poised to be the product management tool of choice. “productboard is the first product management tool I’ve used that actually mirrors our process. Its focus on capturing real user needs and surfacing them intelligently throughout the product prioritization process has made it far easier for me to do my job well,” said Alon Bartur, Director of Product at Trifacta. productboard is a system of record for product management that helps teams make products people want. It helps product leaders understand what users need, prioritize what to build, and automate their roadmaps — all from one place. Headquartered in San Francisco with offices in Prague, Czech Republic, productboard is the product management tool of choice at over 150 companies worldwide, including Avast, BambooHR, Sprout Social, and Envoy. With productboard’s emphasis on product discovery, product leaders can finally enjoy peace of mind by knowing exactly what to build for whom and why. Index Ventures is a multi-stage venture capital firm founded to support the best and most ambitious entrepreneurs, wherever they emerge. With a global network and headquarters in London and San Francisco, Index has teamed up with founders in the U.S., Europe and Israel who are building the world’s next great companies.